The PI 7200 and PI 7300 DAS bring new capabilities and levels of performance to transducer data acquisition in rugged applications such as wind tunnels, engine test stands or wherever the DAS needs to be located on or near the test article. 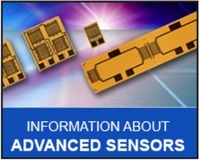 Together, Pacific Instruments and Micro-Measurements make VPG a next-level one stop supplier for stress analysis and strain measurement, with Pacific Instruments’ advanced signal conditioning and data acquisition instruments complementing Micro-Measurements’ industry- leading strain gage sensors and installation accessories for stress analysis and strain measurement. Designed to reduce installation and test setup costs while improving signal quality and reliability, the 16-channel PI 7200 and PI 7300 function as Ethernet-connected appliances that condition, amplify and digitize outputs from strain gages, bridges, IEPE or voltage transducers. Multiple units can easily be combined or distributed in larger installations. Features include real-time correction/compensation of gain offset and excitation voltage from −20°C to +50°C, quality signal conditioning with high gain, and a 24-bit high-speed A/D converter per channel, to provide high accuracy, high resolution and high sample rate across a wide operating range. Locating conditioning and acquisition hardware near transducers, even on a test article in the test cell, is the goal of many facilities, because this reduces cable costs, increases signal quality, and eliminates complex wiring installations. By providing this capability, the PI 7200 and PI 7300 enable significant cost savings and reduce installation time for the data acquisition system. The fully self-contained PI 7200 and PI 7300 provide transducer excitation, bridge completion, and balance. The transducer output is amplified and filtered to remove signal components that could produce alias errors, and digitized to 24-bit resolution. The digitized transducer output is digitally processed providing multiple sample rates, an 80 dB/octave FIR filter, and a 32-bit floating point output format in millivolts referred to input, millivolts referred to output, or user defined engineering units. Each module has a Gigabit Ethernet interface for control and data output, which simplifies system wiring and provides remote and distributed operation. IRIG time base may be employed to synchronize sampling on multiple modules within 10 microseconds, or a TTL timing may be used to achieve better than 1 microsecond time alignment. Multiple modules with up to 4,096 channels may be connected on a single Ethernet LAN. Within the PI 7200 and PI 7300 families, additional model options are available for applications requiring voltage inputs (PI 7218 and PI 7318); programmable voltage excitation, bridge completion for 120 and 350 Ohm strain gages, shunt calibration, and automatic balance (PI 7216 and PI 7316); or regulated power for transducers with internal electronics (PI 7220 and PI 7320).